Okay, we made the 2.1 version publically available. The release notes can be found at http://wiki.pbxnsip.com/index.php/Release_Notes_2.1.0. IMHO there are a lot of good fixes and also some interesting new features and 2.1 will be a great release! As stated there, there is not reason to upgrade running systems unless there is a good reason in the release notes. If you just want to try the new version, please ask for a demo key and run the trial on a seperate test machine. Is 2115 the version you have released as the official 2.1? I downloaded the 2.1 release and installed it on top of 2.0. It seemed to install ok and the phones work but my login user no longer works. I tried admin with a blank password and that doesn't work either. Any ideas? You can manually edit the pbx.xml file and remove the password there (which should be a long hexnumber). After a service restart the password is empty. 6) The Caller was then immediately transferred into my voicemail!? The SIP Logs suggest that the PBX sent my phone a BYE, then immediately put the call into my voicemail?? I have the logs if you would like to review? We tried the upgrade with a stopped process, that worked. Maybe the problem is with running service. In any case I would move to 2115. Then a SIP trace would be interesting if the problem is still there. Deleating the password fixed the problem. I think what might have happened is maybe version 2.1 is case sensitive on the user name. On the two computers I tried my user name was cached all lower case and in the PBX.XML file the user name was upper and lower case. The standard seems to be user names are not case sensitive and passwords are. The Caller was then immediately transferred into my voicemail!? Tried it with a stopped service this morning, upgrading from standard 2.0.3.1715, still the same thing. Also it didn't put any provisioning files in the HTML folder, so I'm not sure if it actually did much. And in this instance, a repair install with the service stopped didn't fix it either. In the end I copied the PBX folder to a new location, uninstalled PBXnSIP, re-installed with 2.1 and copied the config files back over again - this seemed to work, but I'm concerned there may be settings/features that are in the new version that were overwritten by the old files. Do you know if there are any like this or not? I've got a fair few PBX's to update to 2.1 and could do with knowing the best way to do it. UPDATE: It seems the version on the website doesn't contain any of the HTML files for the autoprovisioning of phones.. Was this only in the RC installer and didn't make it to the final one?? Well, the best solution in this case is probably to use the manual update in http://wiki.pbxnsip.com/index.php/Installi...#Manual_Upgrade. That should work independently from the InstallShield updates. Sine Oct 8 2007 it gives this release notes. But were I can find a manual with the descriotion, how the new features can be used? For examble I have some questions to use RTP pass-through, provisioning adressbook and function keys for Snom-phones or what I can do that at redirected calls is shown the number from the caller and not from the redirected extension. or what I can do that at redirected calls is shown the number from the caller and not from the redirected extension. Hmm... this sounds like it could possibly be related to my 2.1 Exchange UM problem. Update: I have been doing some testing using a clean 2.1 install on a separate machine with a demo key, set up two test users with a completely new (3-digit) dial plan on the same Exchange server, used X-Lite to test, and the problem exists on the test server as well. 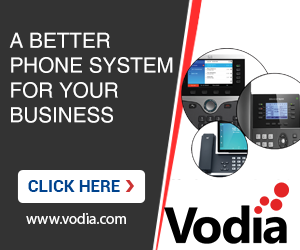 We've experienced the same issue with Polycom 500/600 phones where they were in conversation and all of a sudden lost the call and had the caller transfered to voicemail. We've only had it occur twice and it was isolated to one domain. We've also experienced some issues with transfers on the Linksys phones. It seems to be a hit and miss proposition. I will get a sip trace gathered and email it in. I think this problem arises when the PBX for whatever reason lost the call and the phone sends a Re-INVITE. In SIP, a Re-INVITE and a INVITE look the same, but the problem is that the Request-URI actually is the phone's own number. That means for the PBX the phone calls its own number, which is the voicemail. Since I can reproduce this using a brand new test PBXnSIP installation, I really doubt that this problem is related to just us. I've looked at the trunk settings suggested in the other thread for the Exchange SIP Gateway and I've toggled every other setting that seems related but no luck. Now that I have a test out-of-the-box PBXnSIP installation reproducing the same problem, I can change settings to my heart's content if it's a setting. Whether or not it is a setting, I'm positive that it's related to 2.1 - it wasn't doing this on our production 2.0.3 install, and now both our production and test 2.1 installs are doing the same thing. I really have to get this fixed for our users, who have been pretty patient with me thus far with beta builds and the phone system migration in general. I'll do whatever I can -- my hunch is that it's something internal that I can't fix with a setting, but I would be glad to be wrong. Help?!? I really have to get this fixed for our users, who have been pretty patient with me thus far with beta builds and the phone system migration in general. I'll do whatever I can -- my hunch is that it's something internal that I can't fix with a setting, but I would be glad to be wrong. Sorry, can we open a new topic on this? I lost the context here... What was the problem??? Sorry... I scattered the posts on two topics -- perhaps I'm suffering from a lack of context myself. Reposted here: http://forum.pbxnsip.com/index.php?showtopic=388 along with someone having the same problem but the suggested fix isn't working for us. I have an Agent group setup to call 3 extensions, when a user picks up on one of the extensions, the other two phones get a missed call... Should it not detect that the Agent group got an answer and not show a missed call? They are Polycom IP 430 SIP phones... I read this should work due to RFC 3326 headers or something, is there a setting in pbxnsip? did anything change with this in 2.1?